RECON Petrotechnologies was founded by Mr. Mike Boyle in 2001. 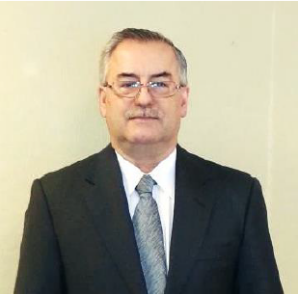 Mr. Boyle has more than 35 years’ experience in the Oil and Gas Services industry. Through his continued expertise, he will be able to bring operations of the business to accelerated revenue growth and profitability by 2018. Michael Boyle started in the oilfield service sector as a roughneck on the service rigs in Lloydminster in 1974. Over the next two years he advanced his progression to derrick man, driller and eventually tool push. In 1977, Mr. Boyle joined Jet Perforators Inc., a cased hole logging and perforating company. From 1977 until 1980, he operated a cased hole logging/perforating unit out of Jet’s Edmonton base. In 1980, he moved to Lloydminster, opening a new service base for Jet, taking on the responsibilities of District Manager. In 1986 he purchased into Jet and gradually increased his share position until when in 1992 he bought out the other major shareholders and assumed the duties as President. In 1994, he was instrumental in the merging of Jet with NorWest Shooters, forming Norjet Geotechnologies, at the time the largest privately owned cased hole logging/perforating company in Canada, with 34 units and annual sales near $30,000,000. At this time, under the direction of Mr. Boyle, as Vice President of Operations, Norjet also launched an Open Hole Logging division – the only independently owned open hole logging group at the time. In 1996, Norjet completed a merger transaction with Computalog, a publicly held, open and cased hole logging company. Mr. Boyle assumed the role of Vice President. In 1998, Mr. Boyle joined PROMORE Engineering, an oilfield instrumentation company that Mr. Boyle had been a shareholder of from its inception in 1994. Mr. Boyle assumed the roll of Vice President and worked diligently in assisting in the growth of PROMORE towards sales of $10,000,000, coming from various countries. In early 2001, PROMORE was purchased by Core Laboratories, a US based publicly traded company. 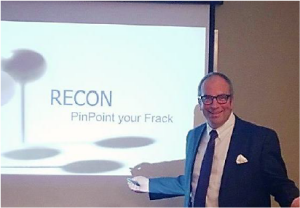 In 2002, Mr. Boyle founded RECON Petrotechnologies Ltd., a new venture offering Open Hole logging, production logging, and drilling and completion services to oil/gas producers throughout Alberta, Saskatchewan and British Columbia. Mr. Boyle holds the position of CEO and President of RECON. Mr. Boyle has also been a founder shareholder participant in other various private company launches and sales that have accumulatively resulted in over $50,000,0000 in cash proceeds to its shareholders. Mr. Boyle presently sits on various boards of private businesses as either a director or advisor. Andrew Nyguyen has been President of RECON Inc. since February 2014. He earned his Bachelor’s Degree in Petroleum Engineering from the University of Alberta, Canada in 2000. Since joining RECON in 2003, Mr. Nguyen has been instrumental in developing and growing RECON Open Hole Logging Technologies both in Canada and United States. In 2007, as a Senior Logging Engineer, he led the expansion into the United States and introduced RECON’s High Definition Data to the US based clients – subsequently growing RECON Inc. to three (3) major operational districts. 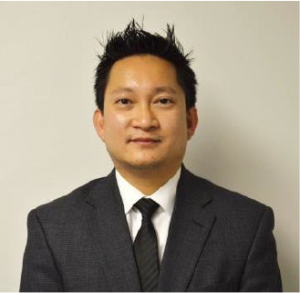 During his tenure at RECON, Mr. Nguyen has held progressive position from Engineering to Executive Management and is passionately involved in all aspects of RECON’s Technologies, Operations and Sales. Mr. Nguyen’s logging experiences prior to RECON has been with Reeves Wireline Services Canada, where he has spent 3 years operating COMPACT Logging Tools and Well- Shuttle Logging operations throughout the Western Sedimentary Basin in Western Canada. Mr. Nguyen is a certified Professional Engineer and currently resides in the Dallas-Ft Worth, TX Metropolis. ﻿ James Burrows has over 20 years of experience in key leadership positions, focusing on increasing overall team performance and corporate profitability. The foundation of his career started at Pitney Bowes in 1984, where he received some of the best sales & management training. In 1992, he joined Purolator Courier as Regional Sales Manager, turning an under- performing division into one of the top performers across the company with a 40% growth in sales & 20% growth in profitability. He joined Intergold in 1996 as the VP of Sales & Marketing. Despite poor capitalization for marketing, sales increased by 35% per year. In 2000, he seized an opportunity to fulfill his entrepreneurial passion and launched Critical Courier Solutions – a niche “worldwide after hour courier” service, which was replicated and introduced by major courier companies throughout North America. 2009 brought him back to Intergold, this time as General Manager & COO to lead a crisis turnaround. He achieved this through arranging short-term financing, reducing expenditures, developing new products, and successfully negotiating contracts with major sport teams. Additionally, he successfully negotiated the sale of Intergold to Jostens, at a share price multiple of 8X. 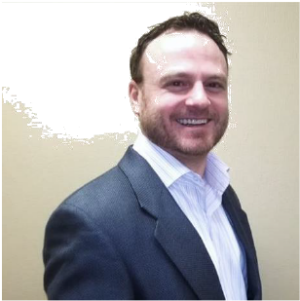 With a diploma in Business Administration from Georgian College, James has also taken various MBA & CIM courses focused on corporate finance and long term business stratagem, and plans on continuing his education in this area.